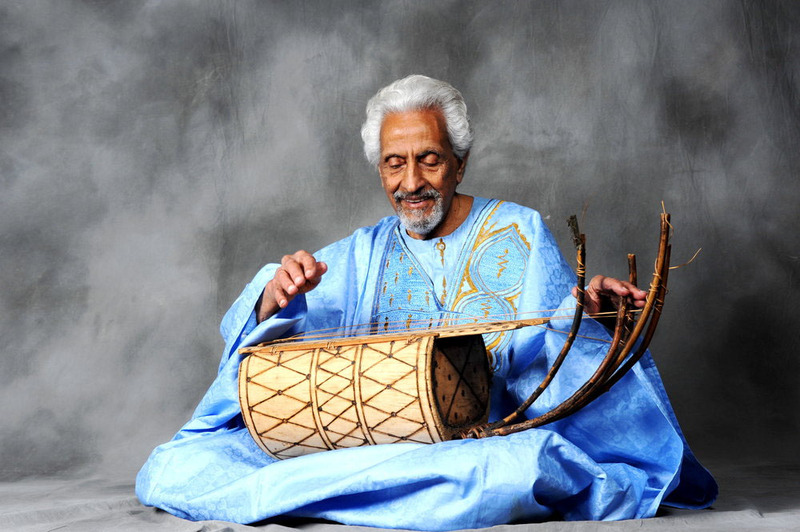 Egyptian-American musician, teacher and composer, Halim El-Dabh passed away on September 2, 2017 at the age of 96. His many ballet scores and inventive sounds, which led a 1975 Washington Post article, as cited by the New York Times, to describe him as “a modern composer of stature and accomplishment,” made El Dabh one of Egypt’s most famous diasporic composers, renowned as “a pioneer in modern music,” according to Jeff St. Clair of the radio station WKSU. Born on March 4, 1921 in Cairo, El-Dabh began to manipulate sound at an early age, seeking to drive insects away from his family’s crops. Margalit Fox’s New York Times article quotes him as stating, “Through agriculture, I learned how to create noise… I had the feeling that noise would make [insects] discouraged, and they would stay away from the plants.” Later, when El-Dabh became an agricultural engineer, he found that sound served as an important tool in this work as well. That discovery gave birth to his fascination with sound. After graduating from the Fouad I University (now called the Cairo University), El-Dabh further familiarized himself with various methods of manipulating sound, using his findings to help Egyptian villages with agricultural development. This eventually led El-Dabh to pursue a career in music in Cairo. Using a borrowed wire recorder, he combined the sounds of traditional folk songs, religious rites, and bustling city life, creating one of his early compositions, “The Expression of Zaar,” which premiered in 1944. After that, El-Dabh pursued composing full-time, moving to the United States in the 1950s where he studied at the University of New Mexico under the Austrian atonalist Ernst Krenek, and then obtained his U.S. citizenship in 1961. New opportunities quickly arose in the United States. El-Dabh’s score for the ballet “Clytemnestra,” commissioned by Martha Brown, premiered in 1958 at the Adelphi Theater in Manhattan, becoming one of his most famous compositions. His time with Kent State University, where he served as a university professor emeritus, helped to foster his creativity, and solidify his devotion to music. According to St. Clair’s article for WKSU, the 1970 Kent State Shootings, where National Guardsmen killed four Kent State students, inspired El-Dabh’s musical-theater piece “Opera Flies.” The composer went on to found the Kent State ethnomusicology curriculum, and built a program around the traditions of African music. Halim El-Dabh married twice, first to Marybelle Hyde, and later to Deborah Jaken in 1978. Jaken survives him, as do his two daughters from his first marriage, Shadia and Amira, along with his and Deborah’s son Habeeb and their two grandchildren. This essay appeared in Al Jadid, Vol. 22, No. 74, 2018.